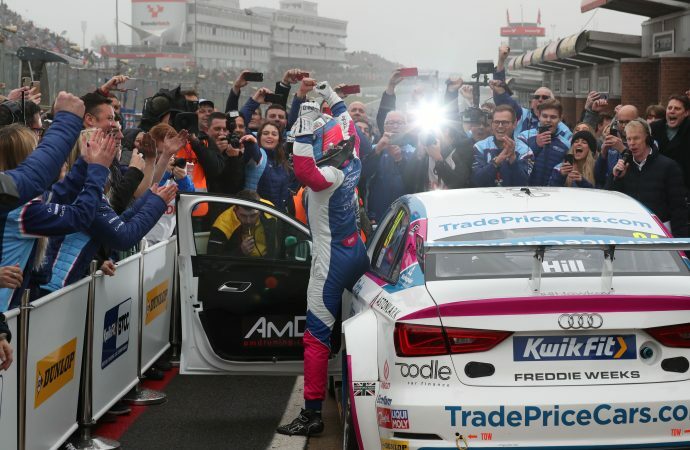 THE Trade Price Cars Racing team enjoyed a positive first weekend of the 2019 British Touring Car Championship season, with a podium finish first time out at Brands Hatch on April 7. 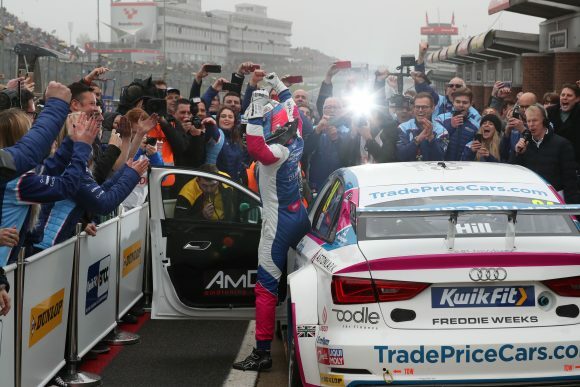 This year, the Essex-based dealership has entered a partnership with established racing outfit AmD Tuning to run a pair of Audi S3s for BTCC rising star Jake Hill and former F1 racer Mark Blundell. A tricky qualifying session in damp conditions on Saturday saw Hill qualify in 15th place on the grid. Nonetheless, he saw a chance to make strides forward in the opening race, which saw changeable weather conditions lead to a tyre selection dilemma for all teams. The track was still damp, but it dried during the race. Electing to go with slick tyres, the early laps were treacherous for Hill, but once the surface had dried sufficiently, those around him who had chosen wet tyres were easy to catch and pass. Ultimately, Hill would achieve second place in the first race; a superb result for the new partnership between Trade Price Cars and AmD. Hill was at the sharp end throughout the second race, finishing fourth, before unfortunate contact in the third race would result in the car being unable to finish. Thanks to his performances in the first two races, Hill finds himself sixth in the championship after Brands Hatch. Blundell started the first race from 28th after a troubled qualifying. Also on slicks, the ex-F1 driver was able to run in the top dozen before eventually finishing 14th, and while struggles with the soft version of the slick tyre would end with a 27th place finish in race two, he would recover to 19th in the third and final race of the day. 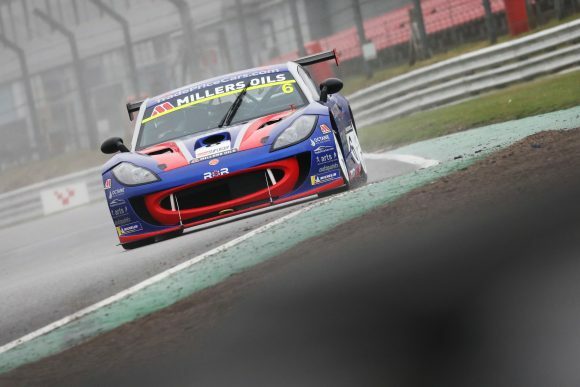 Also racing on the Brands Hatch circuit was the Ginetta GT4 Supercup, a regular supporting series for the BTCC package, in which Trade Price Cars director Dan Kirby is competing within the ‘Am’ class for non-professional drivers. 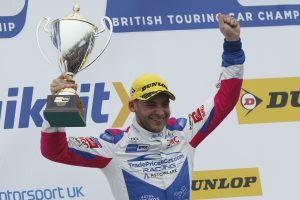 Kirby scored a best result of second within his class during the weekend, scoring another podium for those under the Trade Price Cars umbrella in his second of three races. In the first race Kirby finished seventh in class, and an unscheduled meeting with the tyre barriers in race three ended his weekend early.